Home > Blog > Hey May! Oh hey May! We're always surprised at just how quickly a month goes by but it really seems like we blinked and missed April! We've got a busy month ahead here working on lots of new collections. We had hoped to launch our new summer/travel range last month but we will definitely be adding these to the site in early May, so keep your eyes peeled for lots of new travel bags and pouches! We also have a few new enamel pins arriving soon, so excited to share these with you soon too! New month also means a new birthstone, so say hello to the elegant and enchanting Emerald! 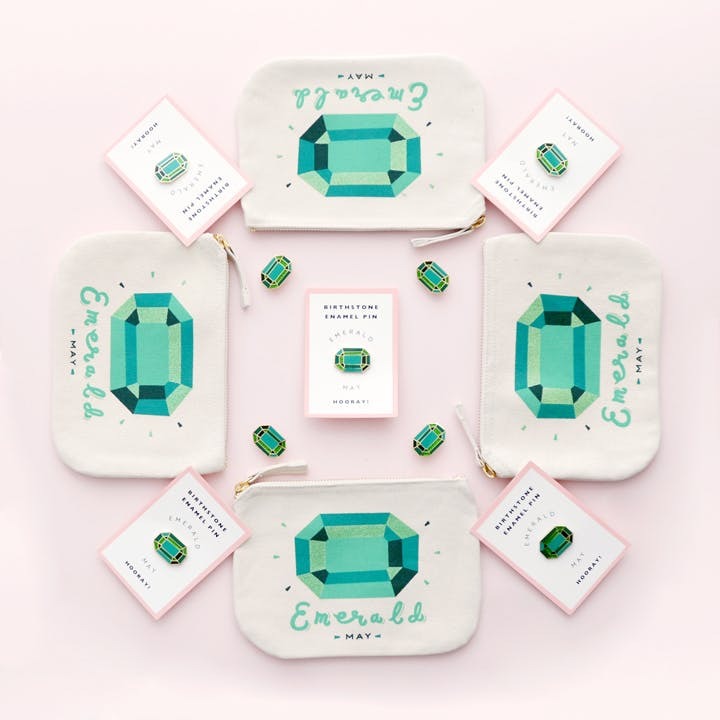 If you've got a May birthday or know someone special who has then do check out our lovely Emerald pouches and enamel pins. You can see our birthstone collection by clicking here. May the month of May be full of fun, sun and adventures!